Croft designed, manufactured, tested and licensed an IP-2 container for decommissioning waste from the Dragon and SGHWR reactors. The design of the box compatible with RWM specifications featured a stainless steel containment system with concrete lining for shielding, with a leak testable lid sealing system capable of being replaced whilst protecting the operator from the contents. 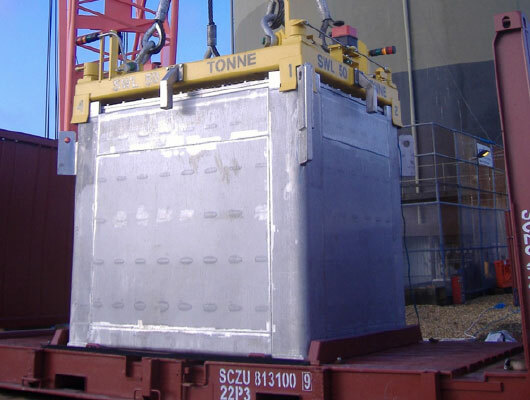 Croft carried out the licensing of an IP-2 package for transporting four plutonium contaminated slag pots weighing up to 60 tonnes each. The nature of the contamination meant they had to be packaged and transported intact. Challenges were faced when licensing preventing physical drop testing of the package which was proven with analytical analysis.